Going to Santa Monica? Rent a Bike! Emily and I cruising along the Santa Monica beach. Los Angeles was the first stop on a two week adventure in California with my very good friend Emily. 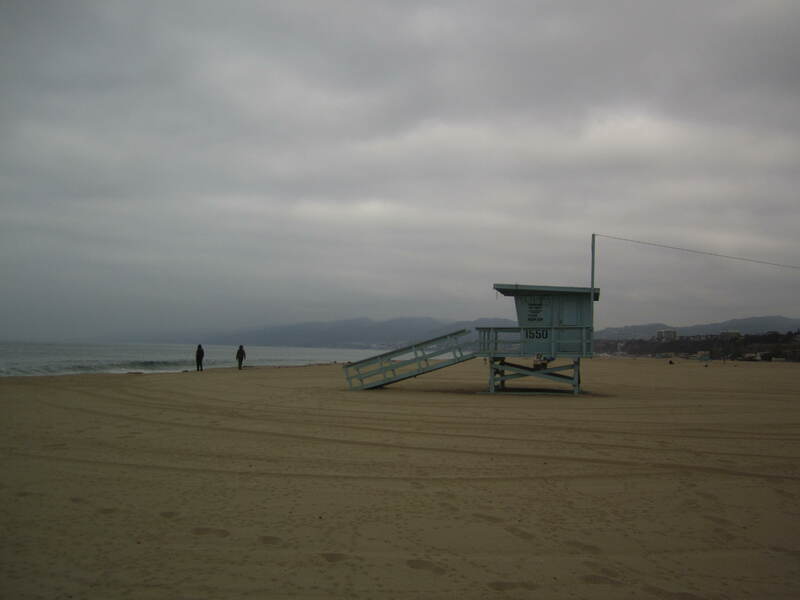 We stayed at the HI Los Angeles in Santa Monica, which I would highly recommend. Props to Emily for booking such a fantastic hostel! Not only was it clean, easy to get to, affordable and in a great location near many places to eat. It was only two blocks away from the beach! 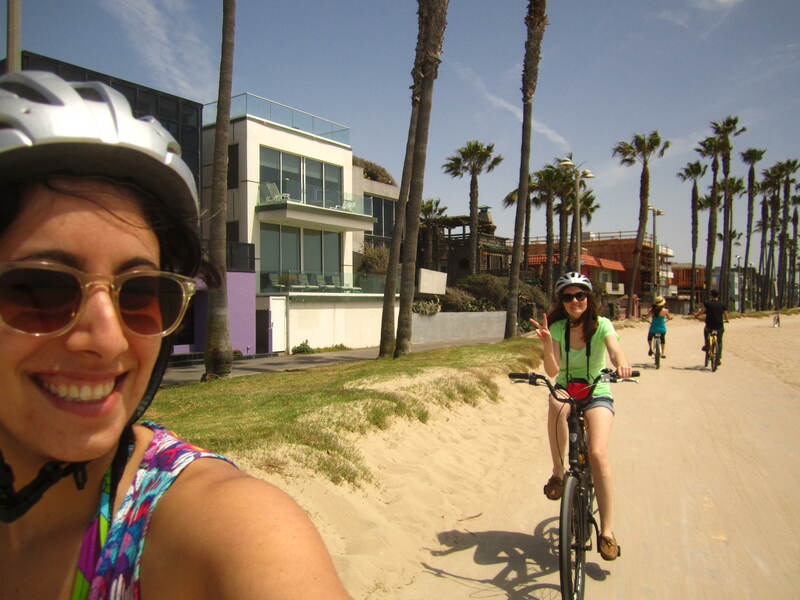 As a result, we spent our entire first day, exploring Santa Monica and the beach front by bike. Biking has always been my preferred way to explore an area – slower than a car so you can take in the scenery, yet you conserve more energy than walking and can get much further. We did a solid 15 km bike ride along the ocean front bike, which was both very flat and scenic. 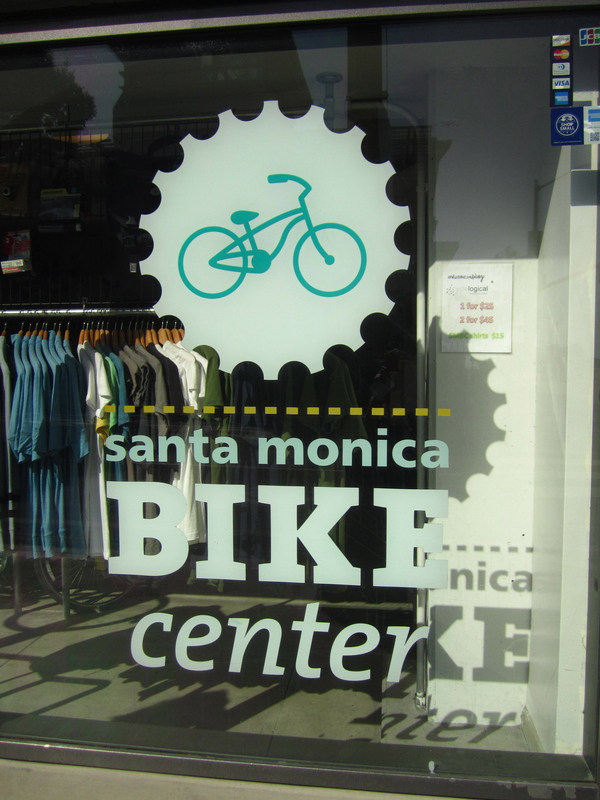 We picked up a pair of beach cruisers from the Santa Monica Bike Centre, just down the street form our hostel. With our $5 discount coupon from the hostel, the rental cost was $25 for the day which included a helmet and bike lock. We also opted in for the $3 insurance package, after the renter told us that someone’s bike had been stolen just yesterday, and if we didn’t have it the bike was $500 to replace. 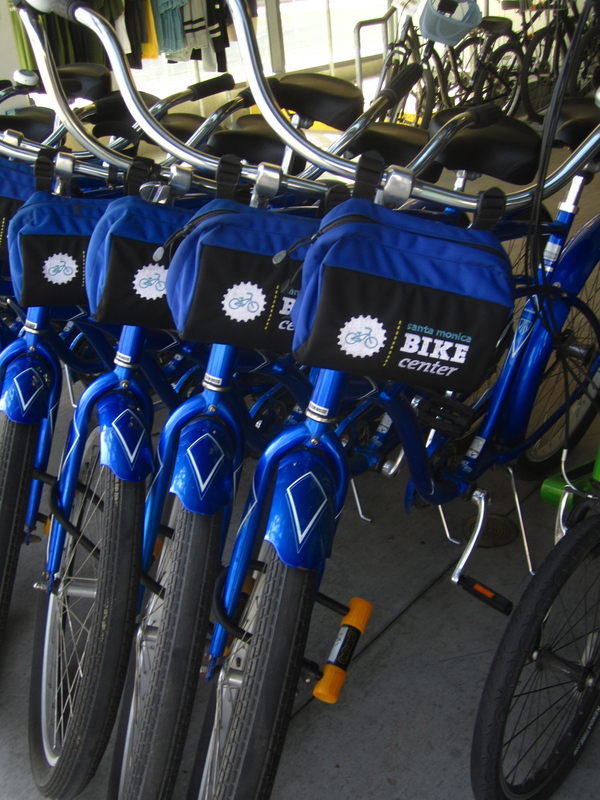 The bikes were great quality, and I was glad they had baskets to hold our water bottles and cameras while we took in the ocean views. 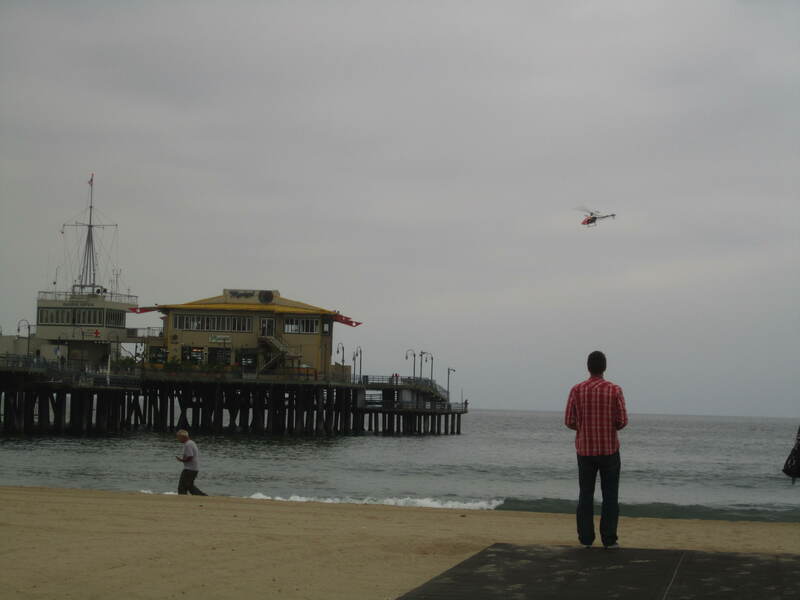 There was lots to look at and I also noticed quite a few locals flying their remote control airplanes and helicopters on the beach. If you’re craving Bubba Gump or cotton candy, or maybe you would like to buy cheesy LA beach tank tops or take a thrilling ride on a roller coaster or a solar powered Ferris Wheel, the Santa Monica Pier can offer you all of those things and more. If not, the pier is a great place to get a view of Santa Monica lit up at night. There were also some pretty neat beach houses to look at along the pathway. Some of them were pretty fancy and modern, but my favourite were these two below. The one on the left looked like a pirate ship, while the one on the right looked like a colourfull lego house, with a tree house like look out post which was accessible only by a single ladder. And of course, no trip to Santa Monica would be complete with out stopping by Muscle Beach to see the ridiculously muscular gym enthusiasts pumping iron at the Venice Beach Outdoor Recreation Centre. As we quickly discovered, the locals here LOVE to work out and stay fit. Santa Monica was filled with people sporting running shoes and Lulu Lemon gear, running, surfing, biking, or playing beach volley ball at one of the many nets along the beach. I very much so preferred our day in Santa Monica, to our Hop on Hop Off bus tour in downtown Los Angeles, which I will be posting about soon!